The American version supports AT&T's 3G network. Sony Ericsson is getting better at adhering to smartphone release deadlines and thus it is time for us to review another round of chubby cuteness. 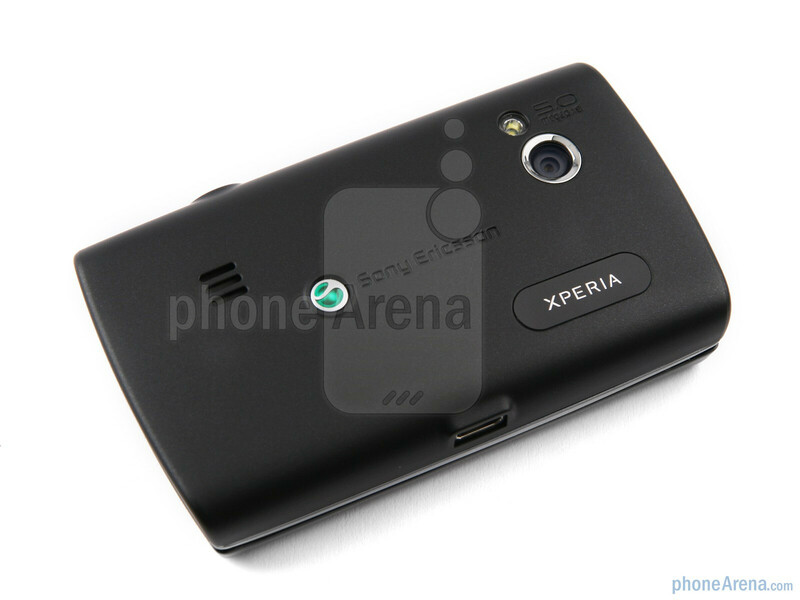 Released at the end of June as promised, the Sony Ericsson Xperia X10 mini pro is essentially the X10 mini in terms of interface, but with a slide-out keyboard. That being the case, we won't dwell on the software, but rather on its design and performance. Sony Ericsson Xperia X10 mini pro is a long name for such a small device, but still, the addition of “pro” brings a full slide-out QWERTY keyboard to the table, so we'll give it a pass. 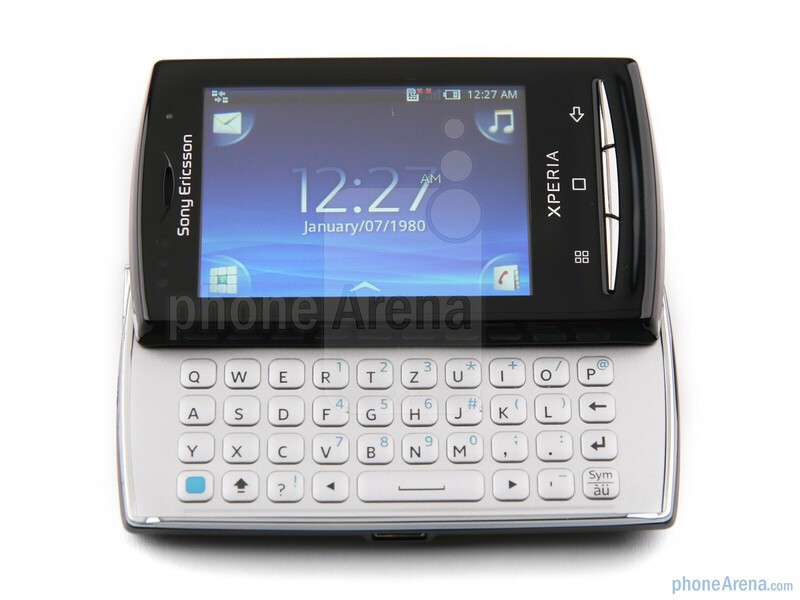 A physical keyboard usually adds a little bulk and heft to a device, and the Sony Ericsson Xperia X10 mini pro is no exception. It's grown from 3.3” (83 mm) to 3.5” (90 mm) in length, but the difference in thickness with the X10 mini is negligible, which actually means thick enough already. At 4.2oz (120gr) it weighs a bit more than the Samsung Galaxy S, which has a 4” screen. 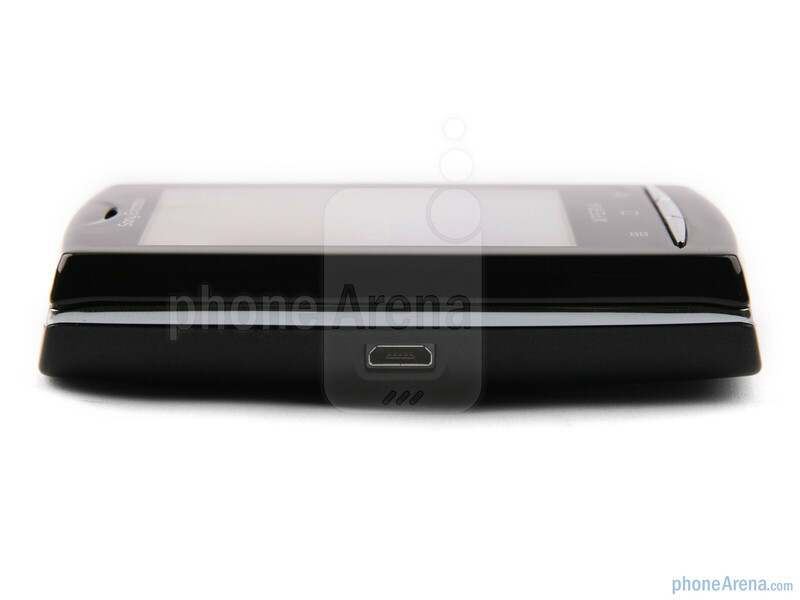 You can compare the Sony Ericsson Xperia X10 mini pro with many other phones using our Size Visualization Tool. The first difference to notice is a nice chromed accent surrounding the phone, which divides the display and the keyboard halves visually. 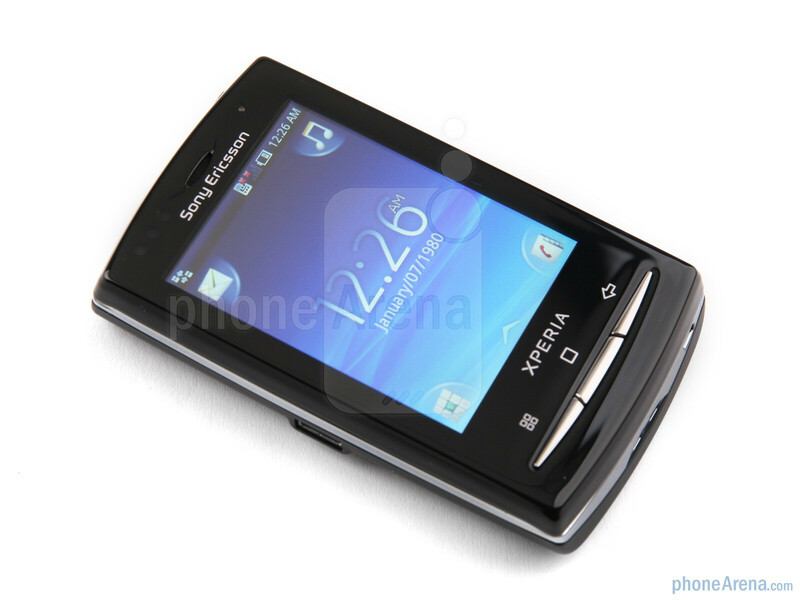 Chrome on black is always a classy combination and one which pushed us in favor of the Sony Ericsson Xperia X10 mini pro design. The phone can also be personalized with red and pearl white back covers, but none of those were provided in the box of our review unit as was the case with the X10 mini. 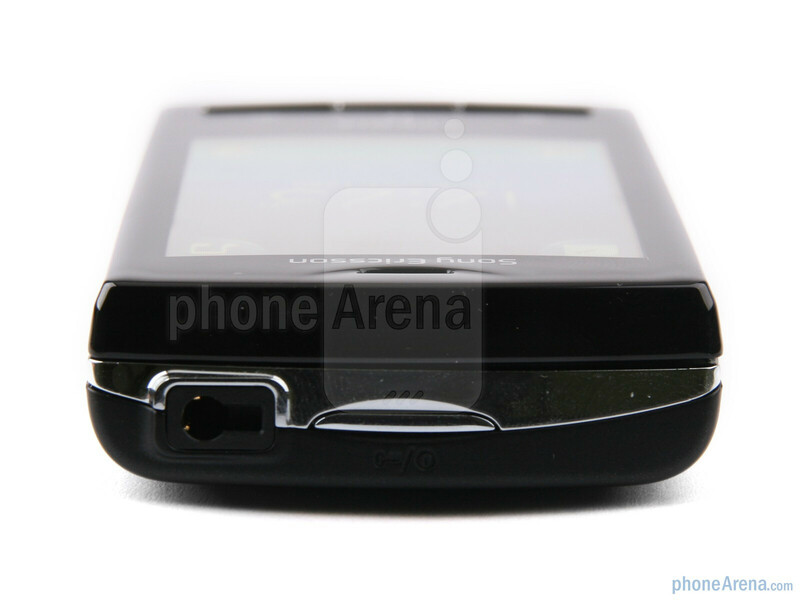 The Sony Ericsson engineers had to do some reshuffling of the internals to fit in the keyboard, and this resulted in placement of ports that differs from the X10 mini. The headphone jack has gone from the bottom to the top, where the power/lock key is. The microUSB port has left the bottom for good too, to find itself on the left with no protective cap this time. Only the microphone and the lanyard slits are now at the bottom of the phone. 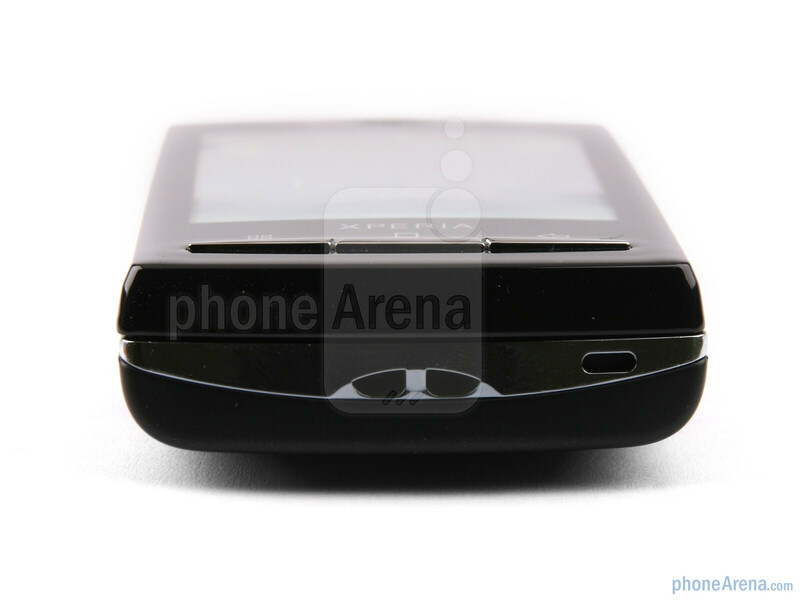 The 5MP camera's LED flash and the other elements on the back have also been moved around a bit. The back retains the “human curvature” design, which makes it feel pretty good in the hand. 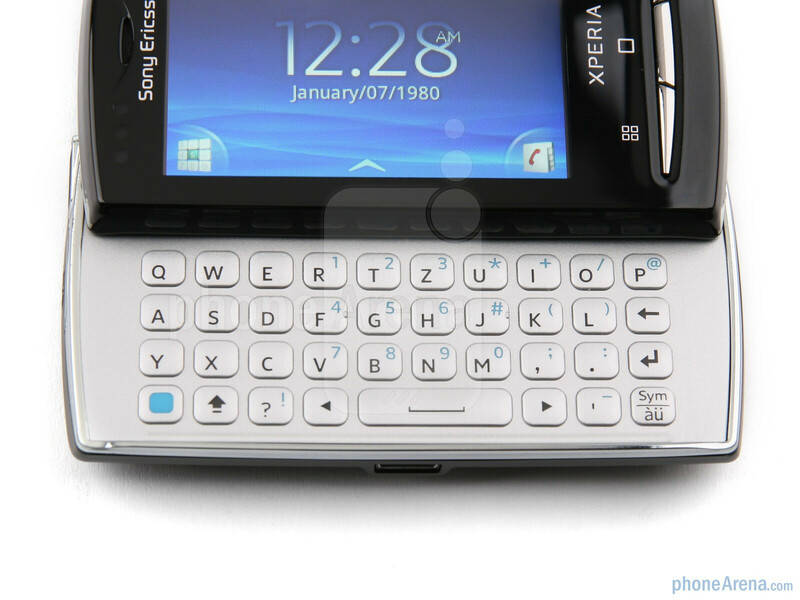 Now let's slide the keyboard of the Sony Ericsson Xperia X10 mini pro wide open, and test it. It feels well-oiled while opening, but to snap it back you will have to exert additional pressure. It will probably loosen up with extensive use, though. The keyboard material is simple gray plastic, but the square keys are spaced from one another on four rows, and have a deep enough travel feedback. Keys are still cramped, though. There is just not enough space to type quickly and comfortably - capping a letter close to the shift key requires finger flexibility unknown to males. A thoughtful addition are the two arrow keys on both sides of the space bar, otherwise it would be pretty hard to come to the exact letter by tapping on the small screen. 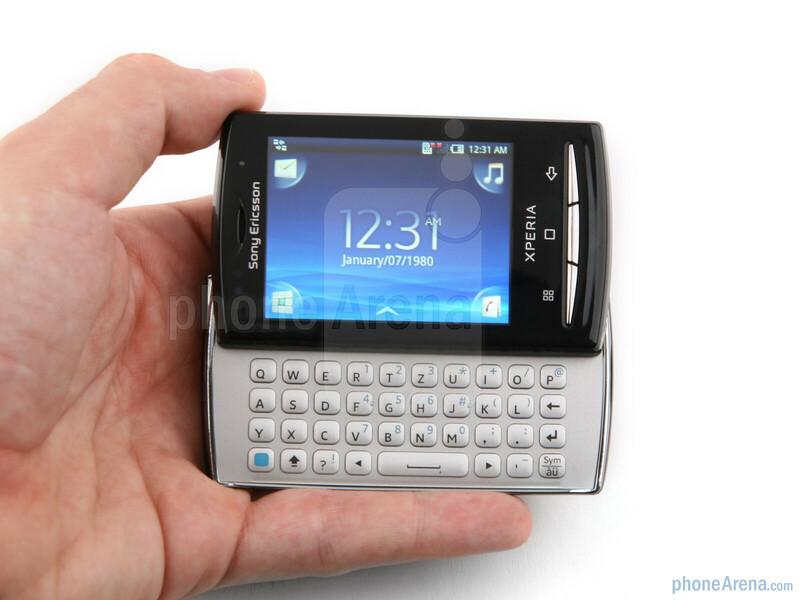 The keyboard is indeed tiny, but still it helps tremendously with typing on the miniature phone. In fact, on bigger handsets, even with a physical keyboard users usually go to the virtual one for a short message or quick contact saves, for example, because it is just faster. 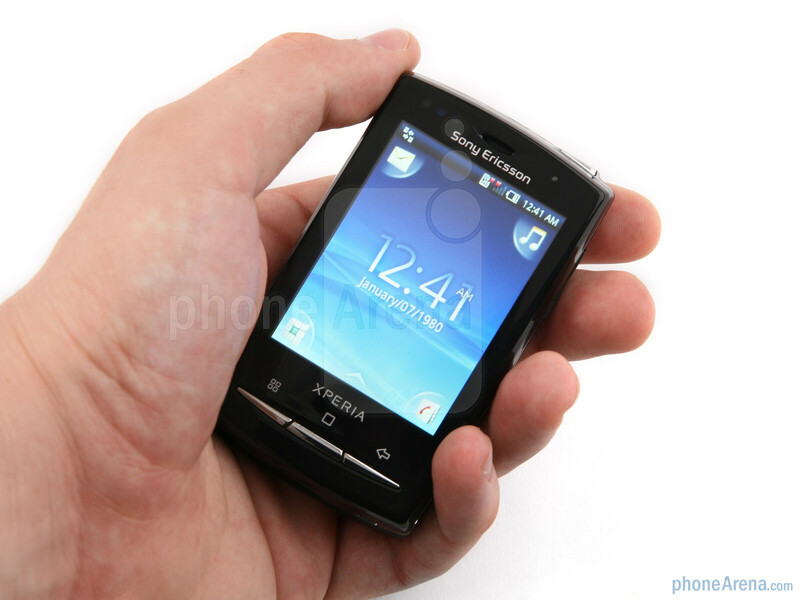 None of the mini handsets has a virtual QWERTY keyboard out of the box, so on the Sony Ericsson Xperia X10 mini pro you always slide out the physical keys, because that’s what works best here. As a matter of fact, it feels like a totally different phone now, less of a fashion accessory, and exactly what was needed for the kiddo in Sony Ericsson’s Xperia family to become more functional. I can't believe that this phone got a higher rating than the samsung wave. fail! It has the features, the UI, and the size to easily match and beat wave. Have you even used it? Dont buy this phone..Battery backup is very much low. sony ericson built a exellent phone in all aspect but the bettry life is very poor, dude hardly 3hrs common sony ur damn good bt in this phone is exellent bt bcoz of poor bettry life i prefer not to buy. sony dude atleast you had to give 6hrs. Thought the keyboard was meant to be Qwerty but its actually Qwertz.. any reason for this? its not a big issue just wondering why the letters are in the wrong place. This phone looked the goods when it first came out. Keyboard, android, good camera blah blah features/specs. Wow. I don't think I could imagine a more disappointing and frustrating experience. It continually drops reception, a hard reset is the only way to bring it back. It can't sync with outlook, or export contacts to a local file. For some reason the only syncs possible are with Internet services. Sorry if you're not comfy putting friends' numbers on the web... You can't save photos sent to you via mms (if you manage to receive them at all! ), Bluetooth file transfer only just got supported, the os is now a year out of date (2.1), the 'backup and restore' doesn't, The battery lasts less than 16hrs, if you don't do anything with it, the screen scratches easily, the touchscreen is inconsistent in sensitivity and the software update process simply doesn't work. Most of the functionality that I had in my 8yr old T610 is no longer present in this so called 'smart-phone'. The presence of 'apps' doesn't make up for the complete lack of basic functionality desirable in a camera phone. Zero stars. If we had known what a dud this was, we would have chosen a nokia 3315 instead. hey guys, can you use the onscreen keyboard for this fone? Coz sometimes I want to quickly type out a quick message/reply, and I dont want to slide out the keyboard and type everything from there. Not that I'm lazy, just that its alot more discreet than snapping out the keyboard in the middle of class. Just brought this phone as a replacement for my HTC Hero and loving it.... Its a mini dynamite. All the things you can do in the bigger and bulky looking android brothers. Highly recommend it!!! 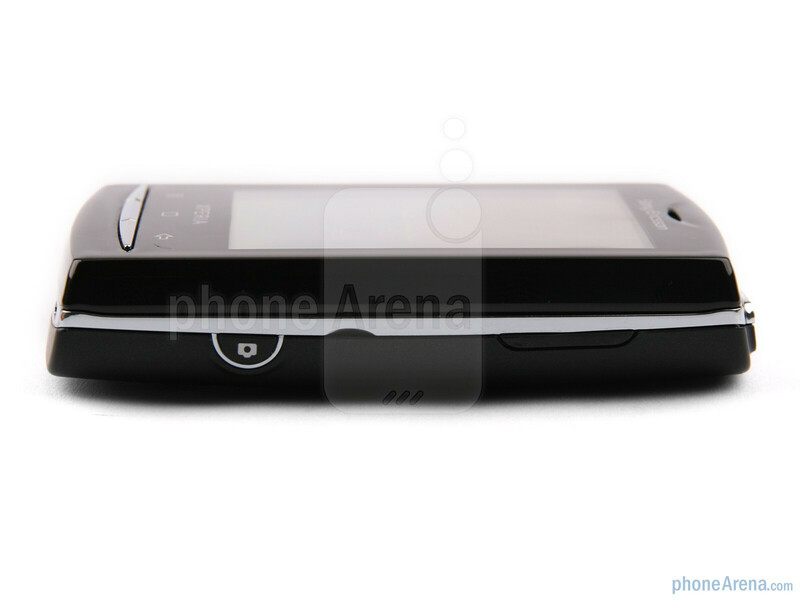 The X10 Mini Pro is certainly not for everyone, this is, like the X8 is Sony Ericsson way to introduce people to Android. It won't cater to enthusiast who likes to customize and fiddle with the operating system. Android 2.1 is enough for browsing, chatting, email and calendar, the basic of mobile phone usage which the X10 Mini Pro provides in spades. It's not cheap for an entry level phone, but it certainly isn't cheap looking. I will be getting mine as soon as SE announced another price cut, probably at X10 Mini Pro successor roled out. Shall i Buy this phone? or wait for something new! i m getting confused..
LOL. a lot of the reviews show the QWERTY board as QWERTZ. I have the phone now and mine is a regular QWERTY board. I was actually staring at my phone for a while trying to figure why people were saying that the Y and Z were at different places.. In regards to #11's comment. It's possible to inport you contact's number without needing to sync the phone. Play around with the phone more. I have been using X10 mini pro since two months and i find it pretty good. The battery issue is there, but all the other functions makes up to it. I upgraded mine from donut to gingerbread and its perfectly good. Syncing is not a problem, the camera is kinda excellent, the Android market overflows with awesome apps, the internet is super fast.. I am completely satisfied with my phone and will suggest people to give this phone a try. I would like to know -for real- if the Xperia's mini and mini pro are going to be able to actualize to android 2.2 and further! And when! Please!!!! if the answer is negative I also would like to know: why? What about the people like me who trusted in Sony Ericsson buying their products!? Thank You.